How do I find a Georgia DUI Lawyer? - If you are arrested for driving a vehicle with a Blood Alcohol Content of .08 or over. - Also, Georgia police officers can make an arrest for anyone driving with any BAC, even under .08, if the police believe the driver is too impaired to drive. - If you are arrested for a DUI while under the influence of any drug, whether legal or illegal. Seek the help of a Georgia DUI lawyer when you are facing charges for DUI immediately, in order to ensure that your rights are protected during the criminal process. When defending your DUI charges, it will be important that you can tell your lawyer everything you can remember about the events that lead to your arrest. Especially important will be any details you can give about the actions of the police officers. You should give an honest recollection of these events, as they will help both you and your lawyer in determining how to approach your case. Do not be afraid of telling your lawyer everything, even if you think a fact hurts your case. Your lawyer cannot disclose what you tell them, due to confidentiality rules. Many Georgia DUI lawyers and firms are available and many of them will advertise their services in the region where they practice. These advertisements are not the best method for choosing a DUI lawyer, however they can provide you with the names and locations of some Georgi DUI lawyers in your area. Always verify any claims that these advertisements may make before hiring a lawyer. Contact the Georgia State Bar Association for a listing of its members and additional information that can help you evaluate the skills and experience of lawyers you may want to choose. This website can provide you with valuable information about Georgia DUI lawyers. Use the search function to find and compare DUI lawyers in your area and to ask questions for legal professionals to answer. 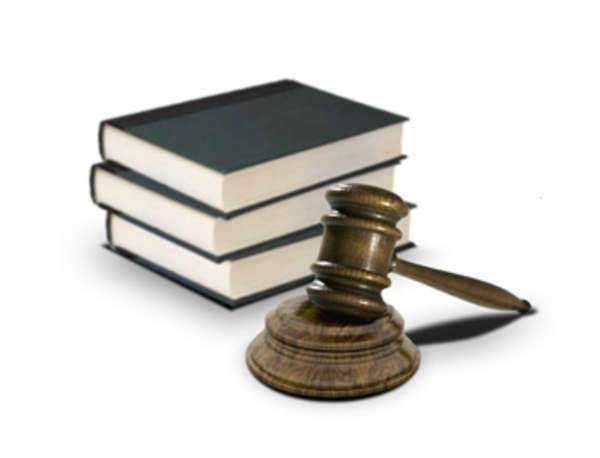 DUI laws and the criminal procedures of the state are a highly specialized practice area for lawyers. Georgia DUI lawyers need to have knowledge and experience working with constitutional rights, Georgia criminal procedure, and local ordinances. It is highly recommended that you seek the services of Georgia DUI lawyers who have represented DUI clients in the past and know how to get positive results. Before meeting with a Georgia DUI lawyer, get any documents or papers together for your lawyer to review. You may not have all of these documents, but if you do, bring in any police reports, medical records, court documents, and search or arrest warrants. All of these documents will be available to your lawyer for review from the government, however the quicker you can supply them, the better your lawyer can evaluate your case. It will also be important that you are prepared to discuss the specific details of your DUI arrest. Know all of the specific dates, times, places, and names that are related. This information can be vital for your lawyer to quickly file legal paperwork to help you. Also, you may want to come prepared with questions to ask a Georgia DUI lawyer, especially if you are concerned about what is going to happen. The unknown can be scary, so try to get any answers that will help you understand the process and possible consequences. In order to practice law in Georgia, it is required that all lawyers graduate from an accredited law school, meet character and fitness requirements, and pass the Georgia State Bar Examination. While these are the minimal requirements for practicing law in the state, you should seek only highly experienced lawyers. Check the credentials of any lawyer to think about hiring to ensure they have the necessary skills and abilities to handle your case. Never rely on advertisements and name recognition as your only source of information for selecting a Georgia DUI lawyer. Instead, look for unbiased sources of information. Experienced Georgia DUI lawyers will have a reasonable expectation of your case and know how to take your case throughout the entire process. Your lawyer should be a tenacious advocate for your case and will need to negotiate with prosecuting lawyers to try to get you a good plea deal. While your lawyer should be a confident advocate for you, at the same time her or she should provide you with honest information about your case and to help give you an idea of the probable consequences you are facing. Always be wary of unethical behavior, coerciveness, and unreasonable fees. You should be able to easily identify if your Georgia DUI lawyer has your best interest in mind when they are representing you. When you cannot contact your lawyer for extended periods of time, he or she misses filing deadlines, or any other behavior occurs that should raise a red flag, act quickly to contact the Georgia State Bar Association to protect your rights and report unethical behavior. Failure to report such behavior may have a negative impact on both you and any other clients affected by this lawyer. When you obtain the services of a Georgia DUI lawyer, you must be aware of the type of charges that you will face for their representation. Most DUI lawyers will require a retainer before they will begin working on your case. A retainer is an upfront fee that will pay that will cover your lawyers work and necessary filing fees and other expenses. Depending on the severity of your charges, your lawyer may either accept a single flat fee for your representation or they will charge an hourly fee. A flat fee is typically used for less severe charges, in which the lawyer can better estimate how much work will be required and that the case will take a relatively short time. More severe charges will require much more legal work, that can take months to finish. In these cases, the lawyer will require that you pay an hourly fee, which can become very large if your case involves a lot of legal work. What will your fees be and what expenses should I expect? What services will you provide me for these fees? How do you expect this case will go? Can I avoid a long criminal process by accepting a plea deal? How can I contact you to update you about my current situation? When will you contact me to provide me with case updates? When you are charged with a DUI in Georgia, it is very important that you seek the help of a DUI lawyer. Georgia's laws concerning DUIs are very strict and can result in steep fines, loss of driving privileges, and jail time. Anyone found guilty of a DUI in Georgia is required to attend a Risk Reduction Program. First time offenders will also receive a $300 - $1,000 fine, jail time of 10 days to 12 months, 40 hours of community service, probation for one year, and suspension of driving privileges for up to one year. Subsequent offenses result in much more severe penalties, including extended prison time, revocation of driving privileges for several years, and very high fines, which will require the help of a DUI lawyer. Georgia's strict drunk driving laws are not something you can defend on your own, so you must hire a qualified lawyer to protect your rights.